for $220,000 with 4 bedrooms and 3 full baths. This 1,530 square foot home was built in 2006 on a lot size of 3240.00 Sqft. Picture perfect home right across from the secured, community pool. 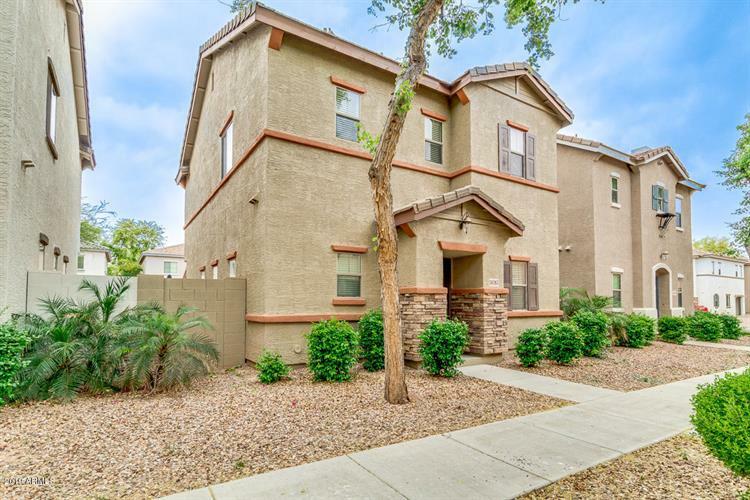 This home has been lightly lived in, has granite counters with tile back splash, new flooring, new paint, upgraded cabinets, all new plumbing fixtures & valves, and new slider. It is one of the rare homes in the community with a bath w/walk-in shower on the main floor. The spacious master has walk-in closet, double sinks and separate tub and shower. It has a 2 car garage w/shelving and insulated door. Enjoy soft water from the tankless, Easy Water system, cozy courtyard, & blinds on all windows. This would make an excellent vacation home or rental as it's a short distance to Spring Training and Cardinal Stadium. Some furnishings are available on a separate bill of sale. Ask how you can save thousands in lender fees.